Just hours after Microsoft said it had thwarted Russian intelligence attempts to hack two conservative think tanks and government sites used by Congressional staff, on Tuesday, the United States imposed new sanctions on two Russians and one Russian and one Slovakian firm under a U.S. program targeting malicious cyber-related activities. In a statement on its website, the U.S. Treasury said the sanctioned firms - Saint Petersburg-based Vela-Marine Ltd and Slovakia-based Lacno S.R.O. - and the two individuals were linked to Divetechnoservices, a previously sanctioned entity. 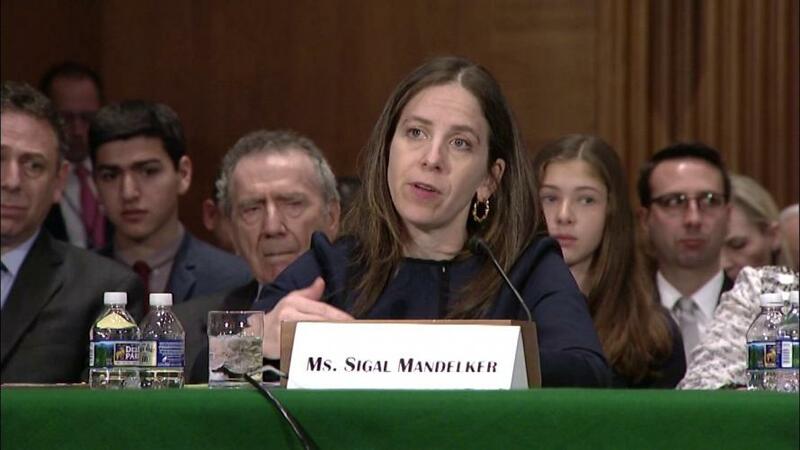 Separately, speaking before the Senate Banking Committee, Sigal Mandelker, the Treasury’s top terror and financial intelligence official said that "the breadth and brazenness of Russia’s malign conduct demands a firm and vigorous response." Mandelker touted that the net worth of Oleg Deripaska had dropped by about 50%, and the share price of EN+ fell to $5.40 from $12.20 since the latest round of sanctions against Russia were imposed; she also noted that the net worth of Viktor Vekselberg fell by an estimated $3BN due to American penalties. Mandelker also said that Russian-owned assets in the United States worth hundreds of millions of dollars have been frozen as part of Washington’s sanctions against Moscow, and told lawmakers that the US will not hesitate to bring economic pain to Russia if its conducts does not change. "The actions of the US Treasury have had significant consequences for the financial interests of individuals and businesses that were affected, including the blocking of hundreds of millions of dollars of Russian assets in the United States," Mandelker said. Her statement can be found here. Finally, in Trump's determination to show how "tough" he is on Russia, the U.S. also sanctioned owners of six Russian ships over claims they are helping transfer refined petroleum products to North Korean vessels, as tensions with both Moscow and Pyongyang intensify, Bloomberg reported. The ships - and two Vladivostok-based shipping companies - violated U.S. and United Nations sanctions on North Korea, the Treasury Department said Tuesday in announcing the sanctions on its website. The U.S. is aiming to keep pressure on North Korean leader Kim Jong Un to denuclearize. “Consequences for violating these sanctions will remain in place until we have achieved the final, fully verified denuclearization of North Korea,” Treasury Secretary Steven Mnuchin said in a statement. In a separate announcement on Tuesday, Treasury also sanctioned two Russian individuals and two entities it said were making attempts to get around existing U.S. sanctions. “The Treasury Department is disrupting Russian efforts to circumvent our sanctions,” said Mnuchin. “Today’s action against these deceptive actors is critical to ensure that the public is aware of the tactics undertaken by designated parties and that these actors remain blocked from the U.S. financial system."